Viet Nam’s Nationally Determined Contribution (NDC) was issued in November 2015 as a commitment to reduce greenhouse gas (GHG) emissions, contributing to limiting global warming to less than 2 degrees by the end of the century. Viet Nam’s NDC emission reduction target is 8% compared to BAU (unconditional scenario) and 25% with international support (conditional scenario). Viet Nam is currently reviewing and revising its NDC and it can increase its contribution. To be able to achieve these targets, in October 2016, Viet Nam issued the Plan for Implementation of the Paris Agreement which lays out activities to reach the emission reduction target. GGGI’s project with Ministry of Construction (MOC) – Viet Nam’s Urban Green Growth Action Plan – has been implemented since 2015. The aim is to strengthen the integration of green growth objectives into planning, development, and investment processes in the urban sector and to scale up green finance for implementation. To support MOC to implement the NDC, GGGI has conducted an assessment of the potential green city actions that would help achieve Viet Nam’s NDC commitments. 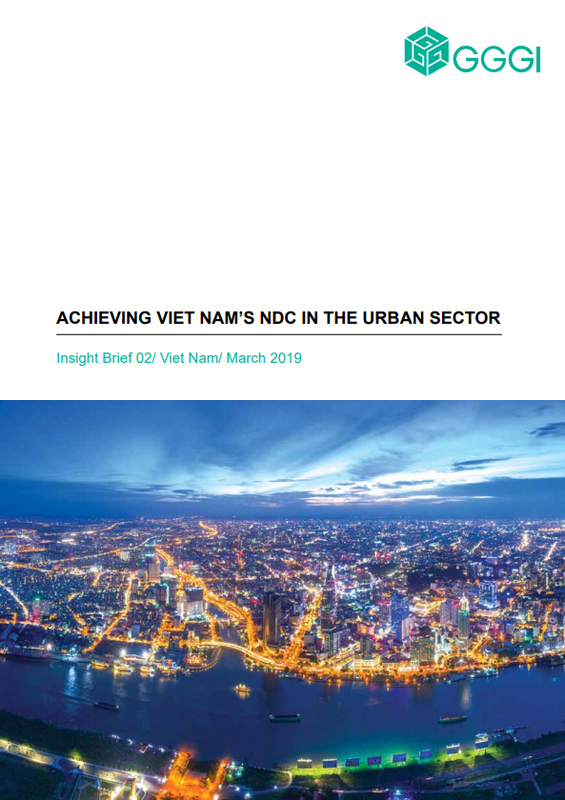 This paper, Achieving Viet Nam’s NDC in the Urban Sector, outlines the findings from the assessment in two sectors contributing the majority of urban GHG emissions: waste and energy.